You have reached Whirlpool 2188656 AE-SELECT Appliance Part 2188656 Refrigerator Crisper Pan for Whirlpool in Findsimilar! Our expertise is to show you Tools & Home Improvement items that are similar to the one you've searched. 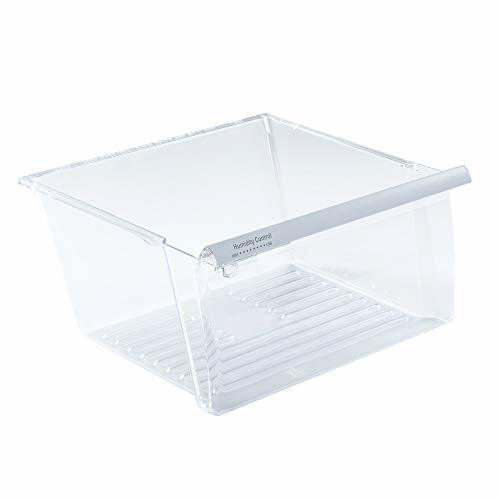 Amongst them you can find Whirlpool 2188664 Meat Pan for Refrigerator, 2188664 Crisper Pan (Lower) for Whirlpool Refrigerator - WP2188664, Whirlpool W10276341 Glass Shelf for Refrigerator, Whirlpool 2187172 Shelf for Refrigerator, W10321304 Replacement for Whirlpool Clear Door Bin with White Band on top, Ultra Durable W10321304 Door Shelf Bin for Whirlpool Refrigerator - WPW10321304, Whirlpool 2309517 Snack Pan for Refrigerator, 2187172 (2 pack) Refrigerator Door Bin Deep Compatible With Whirlpool MADE IN USA, Whirlpool 2156022 Trivet RC Shelf Large, Ultra Durable 2206670B Dispenser Overflow Grille Replacement part by Blue Stars – Exact Fit For Whirlpool Refrigerators – Replaces W10171993 W10189532 AP6006547 PS11739623, all for sale with the cheapest prices in the web.